In Nintendo's news stream, Nintendo Direct, Nintendo president Satoru Iwata announced a new feature to the sequel to the game featuring Mario's brother mostly doing what he does best (screaming in fear); Luigi's Mansion 2. Luigi's ghost sucking proton pack, the Poltergust 3000 will be getting an upgrade to combat stronger, more resistant ghosts; a strobe light. Luigi will use this new flash feature to scare and weaken ghosts, making them easier to capture. The game will also have brand new mansion stages like a snowy lodge and a plant-filled wood zone. 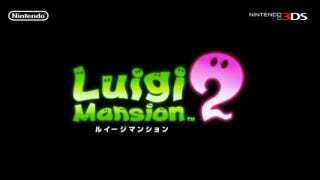 Luigi's Mansion 2 is scheduled for release in spring 2013.